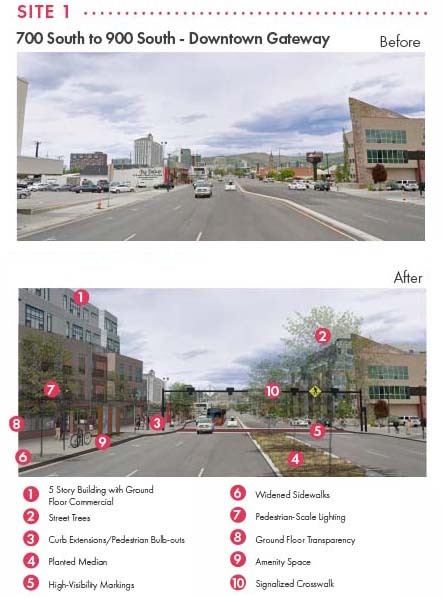 Best practices for urban design were applied to three "catalytic sites" in the corridor to show how new projects and policies could transform a key location. The sites were chosen for their likelihood to redevelop and importance to the neighborhood. 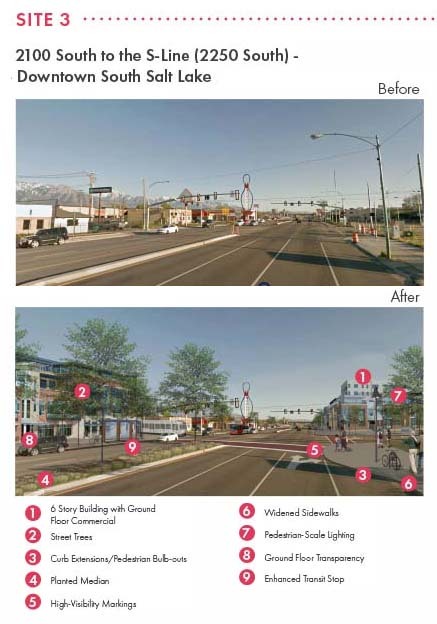 These improvements include changes to the street, sidewalk and setback and adjacent private properties. Take a look at these visualizations and then read the plan to see how they came together. Click here to see all the sites with a plan view, too.